Daisy flower means innocent and purity, this pattern represent Daisy really well. I love how they make it look darker on the center and brighter on the edge. This lens has a thin ring on the outside, so eyes can look bigger. Just like my other EOS lens, comfortable enough. Wear for almost 8 hours, feel a little bit dry but still okay. This lens diameter is 14.8, that's why I feel it slightly bigger than my EOS king size brown. For enlargement effect, it does makes my eyes look bigger than before. But look quite normal on my eyes, I love the halo effect. SOOOO vibrant! and i love the pattern! its similar to Geo Angel but slightly more dynamic! i wonder if they mean 3 tone because it fades? 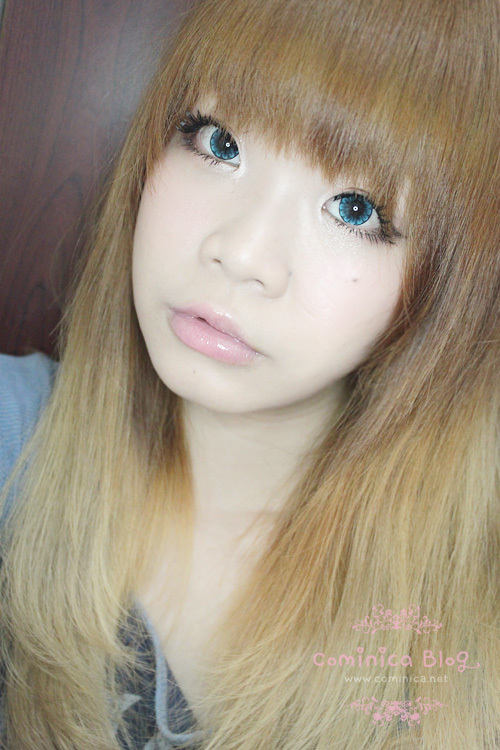 Out of all the flower pattern circle lenses that I've seen, I must say this design is the prettiest! I couldn't stop studying all the details and shades *u* I hope you've been doing well by the way! The pattern is so gorgeous! :O I'm loving it!